More Dom exploration. I seem to have missed seeing the Bamberger Reiter. 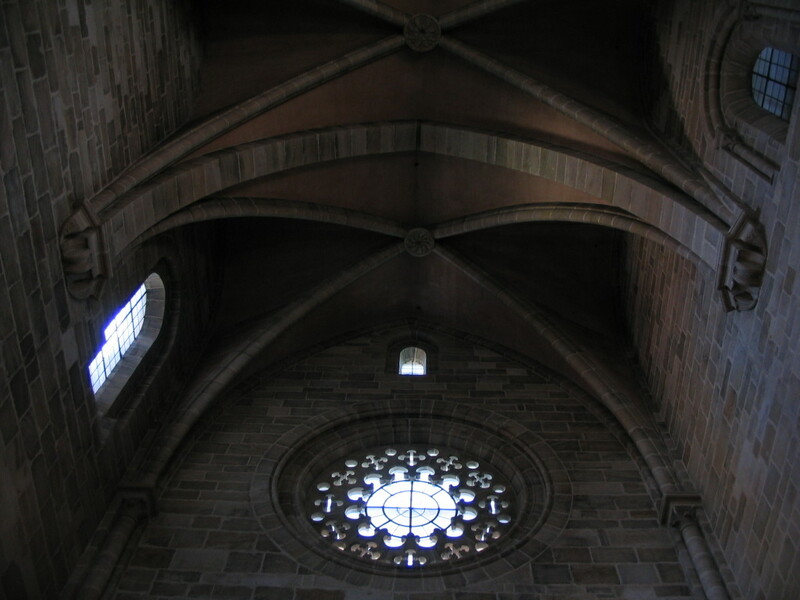 The rose window of the south transept. 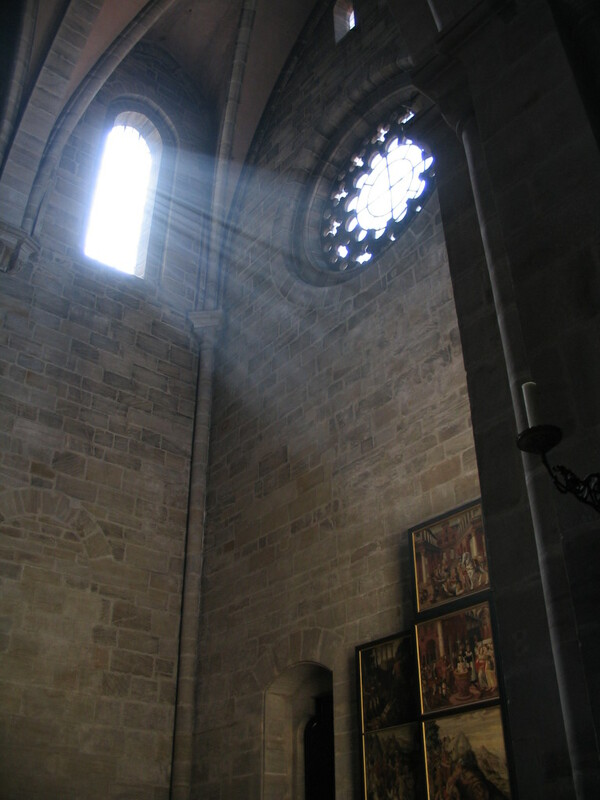 Where is that surreal light coming from? Aaa-HA. 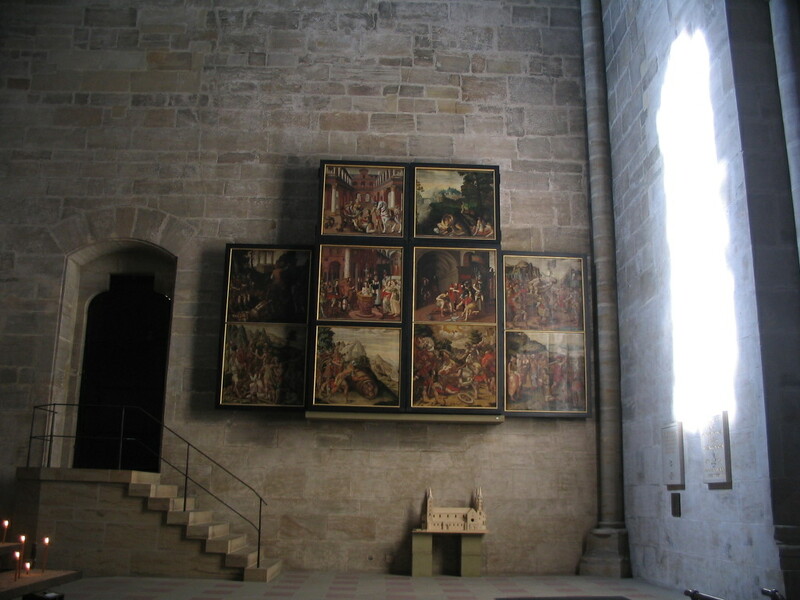 Look at the nearly sharp secondary shadows cast by that sunny area of wall. Once-diffused sunlight like that is perhaps my very favorite kind of architectural light. That was a theme of this whole trip. 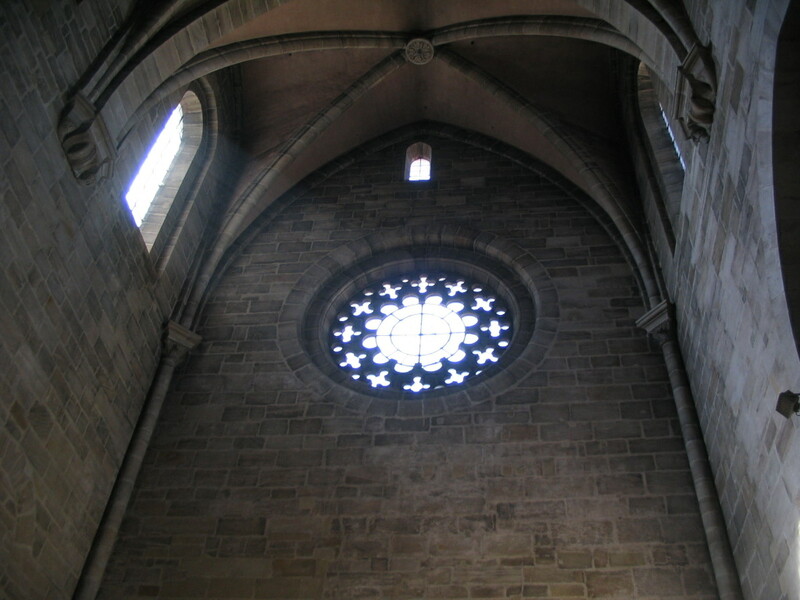 The rose window of the south transept. WAIT a minute no it's not! 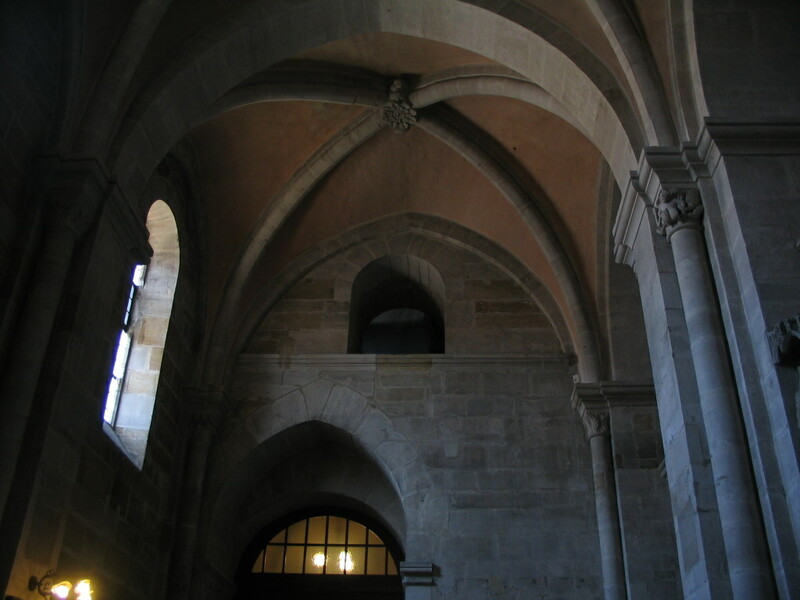 This is the north transept. Can you spot the differences? 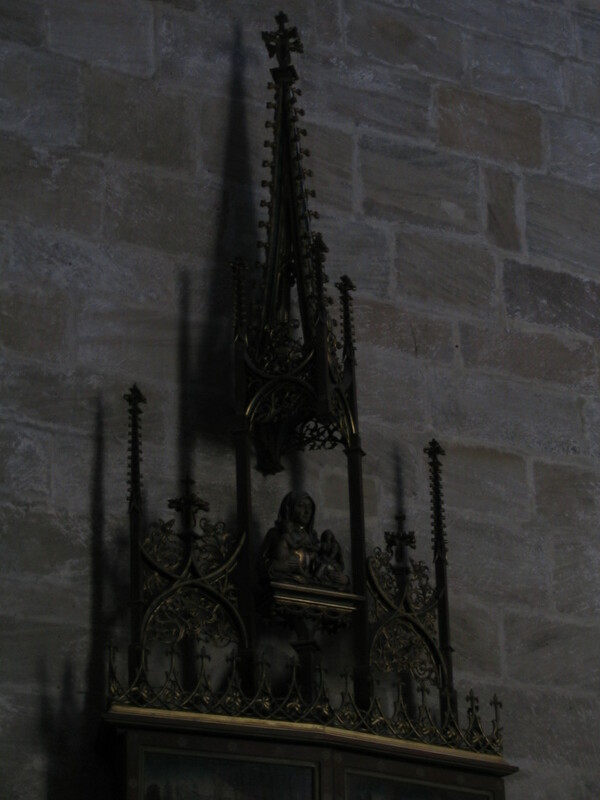 A closeup of the altar (?) from the second photo above and the shadows it was casting. 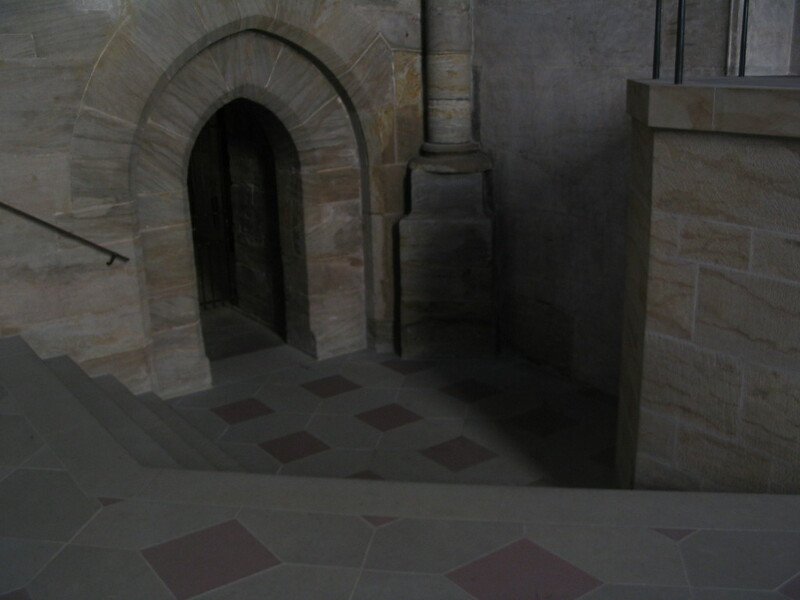 In the corner of the transept, a mysterious descent. 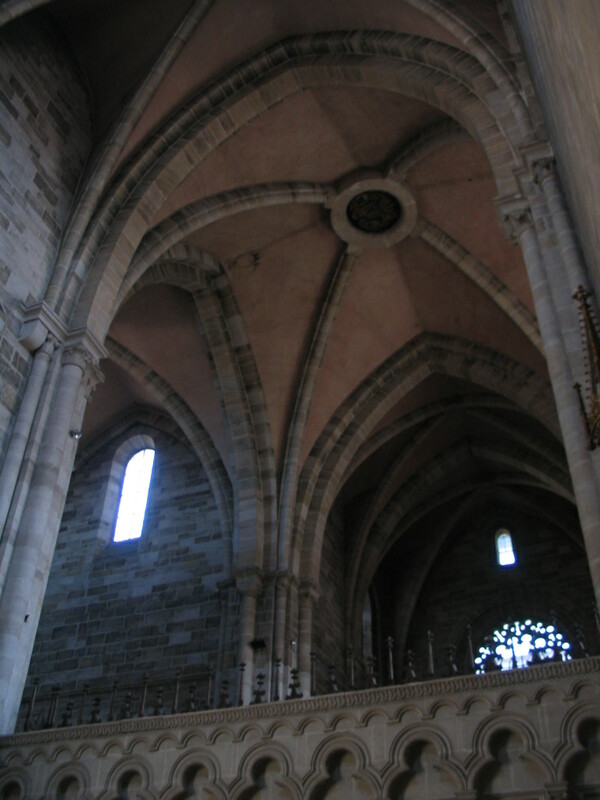 Throwing a glance over the nave back across to the south transept. 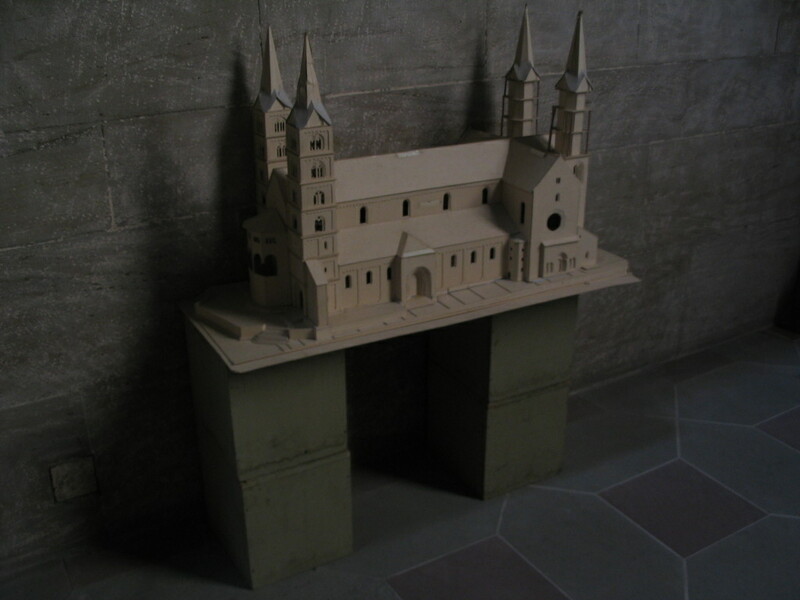 A pretty wooden model of the Dom in the sun-spot light. 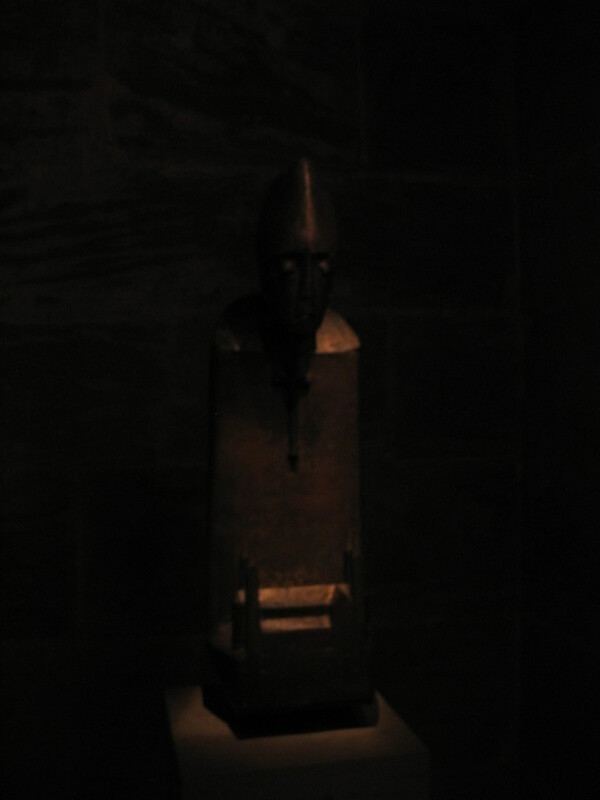 A scarily dimly lit metal knight figure, so it appears, in the crypt? 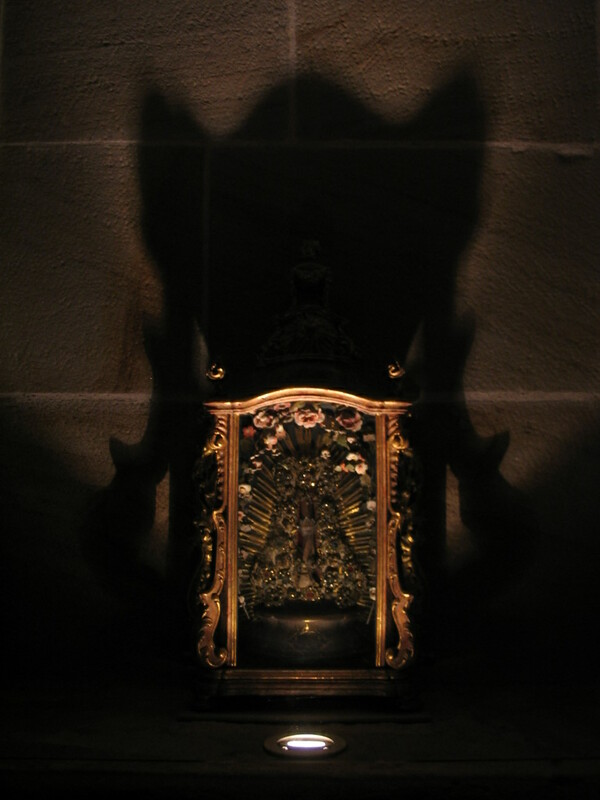 The light was DEFINITELY placed to make the shape of the cast shadow as spooky as possible. 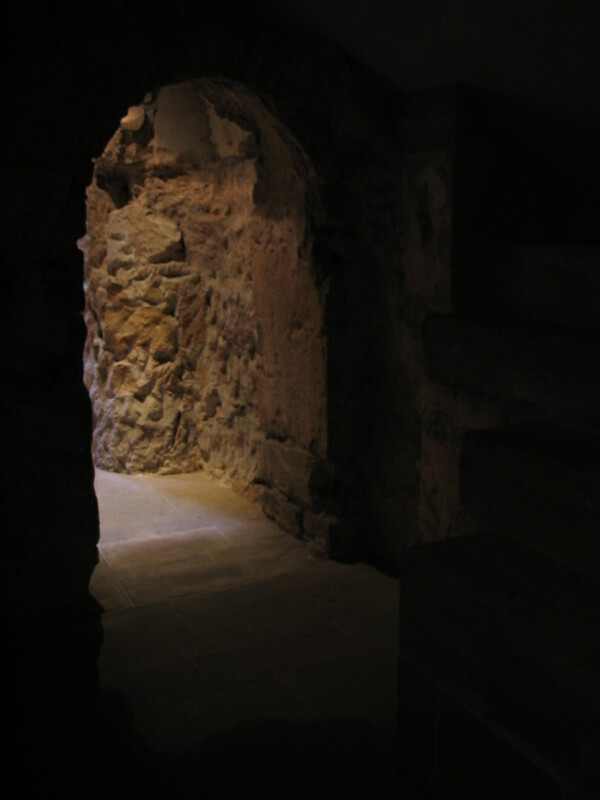 The cavelike passage into the crypt. 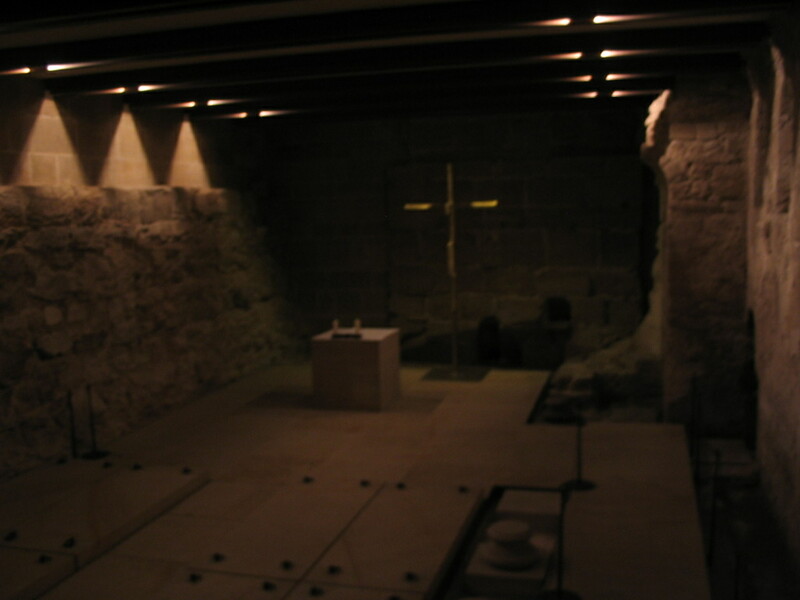 Impression of a subterranean chapel. 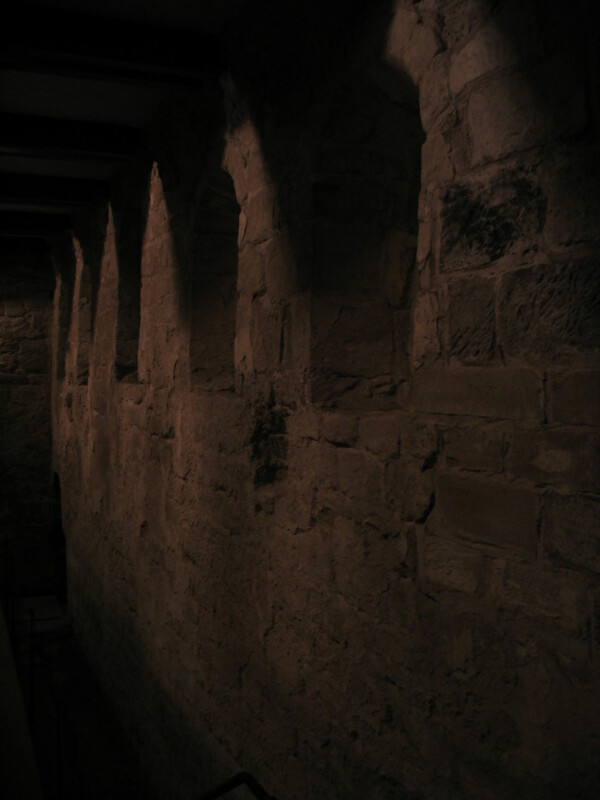 A rhythm of niches and inky shadows in the chapel. 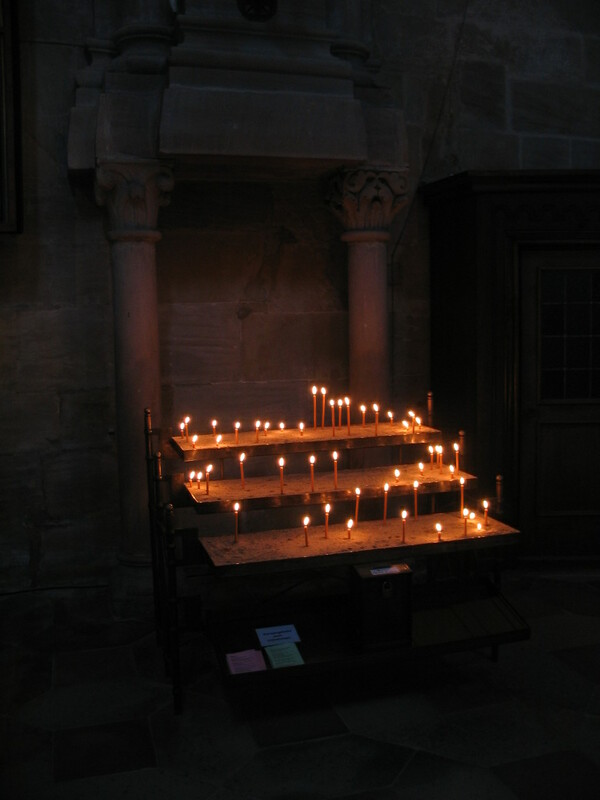 The votive candle rack back in the transept adding its warm glow to the cool daylight. 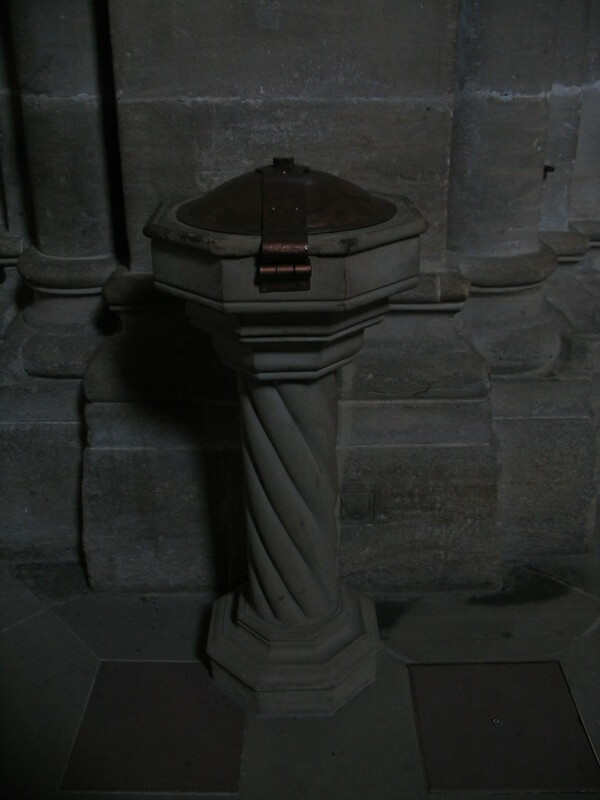 A font, also in the light of the sun spot, moonlike at that distance from its source. 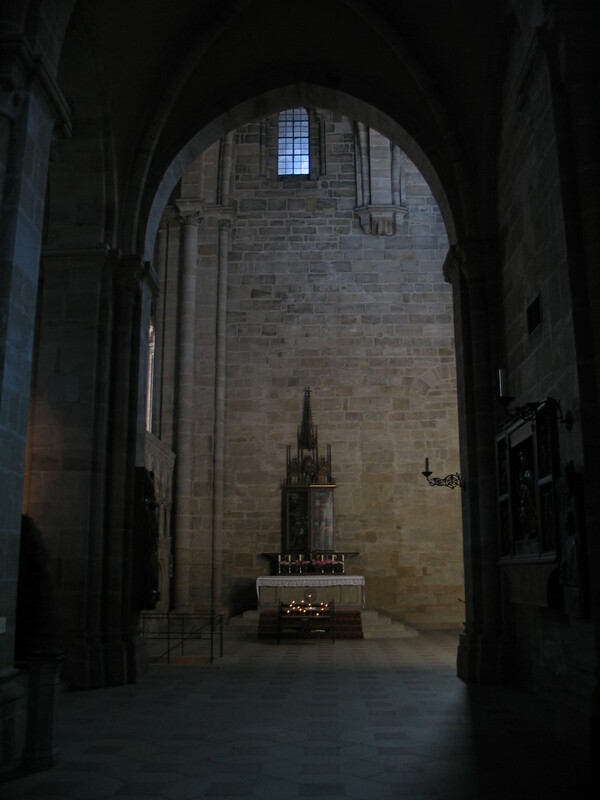 This is the east end of the nave, back at the entrance.